Write a program in C# Sharp to find the number of an array and the square of each number which is more than 20. Previous: Write a program in C# Sharp to find the positive numbers from a list of numbers using two where conditions in LINQ Query. 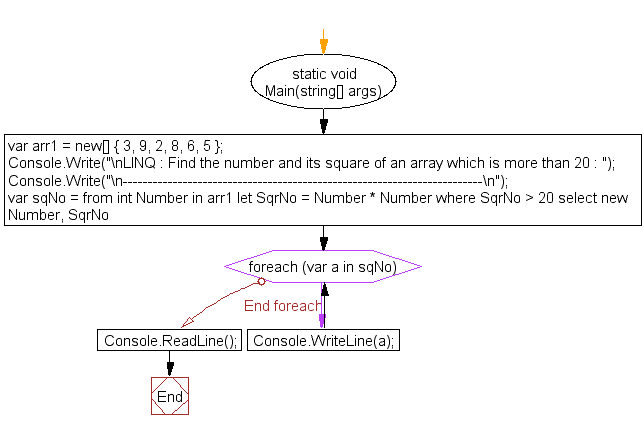 Next: Write a program in C# Sharp to display the number and frequency of number from given array.